Roosting birds not only litter your property with debris and droppings but attract other pests and insects as well. The most effective way to prevent bird damage is to deter them from landing on your property in the first place. Bird spikes are our most popular product for bird control. Our bird spikes are discreet, humane and effective deterrents that create a barrier against larger birds seeking a place to perch or roost. Pigeons and larger birds are not able to gain a foothold on the protected surface and are forced to take their mess elsewhere. Constructed with stainless steel rods set on a UV-resistant polycarbonate base, our bird spikes provide a durable and versatile solution for invasive birds. Our bird control spikes feature sleek, innovative designs that make them virtually disappear from distances as near as 5 metres. Whether installed on roof parapets, window sills, ledges, signs or chimneys, our flexible bird control spikes conform to the shape of your application. Each section can be cut to accommodate any architectural size, shape and configuration. We offer spikes specifically designed for gutters as well, with detachable, clip-on installation for easy application and cleaning. 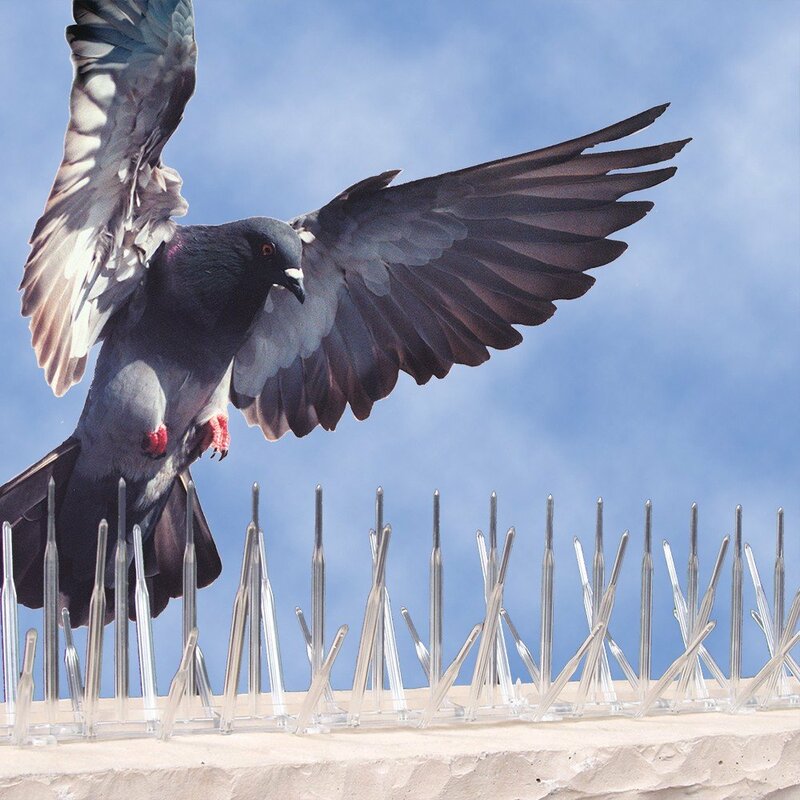 Unlike some bird prevention spikes on the market, our bird control spikes are blunted to prevent injury to birds yet are strong enough not to bend under pressure. You can rest assured that we’ll resolve your bird infestation problem without causing harm to nuisance birds.